Having worked in some of the darkest situations human beings face in this world, what he has learned, more than any other single lesson, is that “Our power to do good far outweighs the bad that exists in the world.” It is in the disruption of people’s ability to give that gift that is uniquely theirs that people are dehumanized, the foundations of a just and open society are eroded, and the edifice of human dignity crumbles. The climate crisis poses this kind of threat to human beings in every society on this planet. If we allow the Earth’s climate-energy balance to be further degraded, we will see increasing levels of human suffering and political destabilization across the world. This will impede the ability of billions of human beings to manifest the unique talents that make them an integral and dignified part of this world. I know I speak for thousands of colleagues across civil society, and for hundreds of millions of people across the world, when I say we thank you for your efforts to keep us safe, and to honor our right to exist. We also thank you for being committed to our right to participate actively in the design of our own climate destiny. 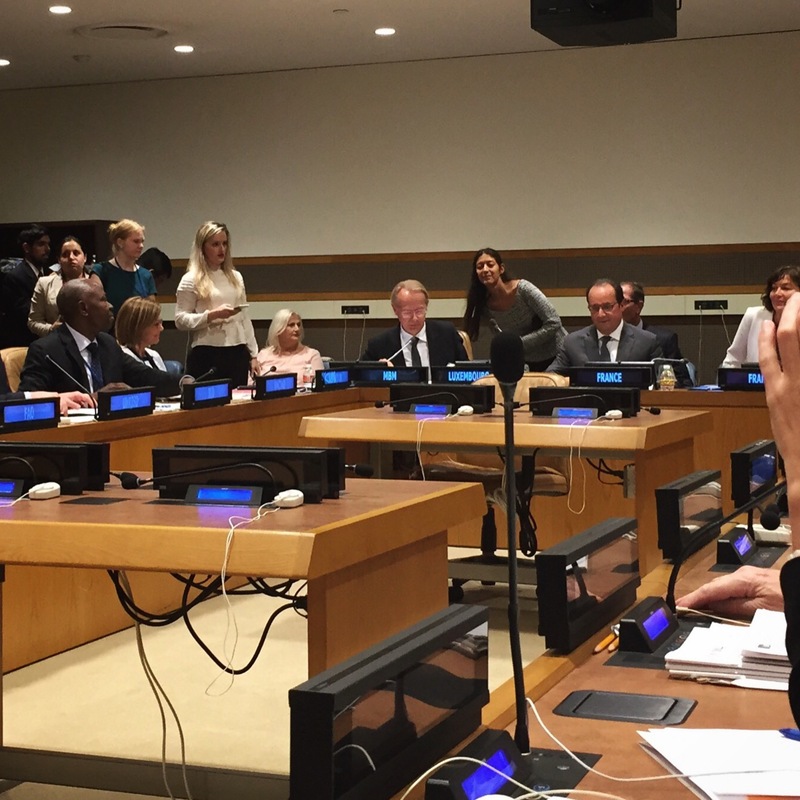 During this year’s UN General Assembly, I had the privilege to be at the table as you addressed the Forum on the Social Solidarity Economy. In reference to COP21, you said “we need the mobilization of all of civil society across the world”. People of immense good will are coming to Paris in support of the people and the Republic that you lead, in support of the values of open collaboration and democratic progress, offering their personal gifts to do good for each other and for future generations. COP21 is more than an opportunity to intelligently address climate disruption. It is an opportunity to honor the hard work, wisdom and sacrifice of so many who labor every day to improve the human condition and to affirm the universal values France has long stood for. The conditions we face are threatening; the future of sustainable, just and open democracy is at risk. The work we must do together is not easy work; that is why we have answered the call.